Ep 76 Batman The Movie Commentary : Do You Expect Us To Talk? Holy shark attack Batfans.. Do You Expect Us To Talk has returned with another series. Not long coming off the Superman film, It’s time the team take on his fellow DC counterpart, Batman. 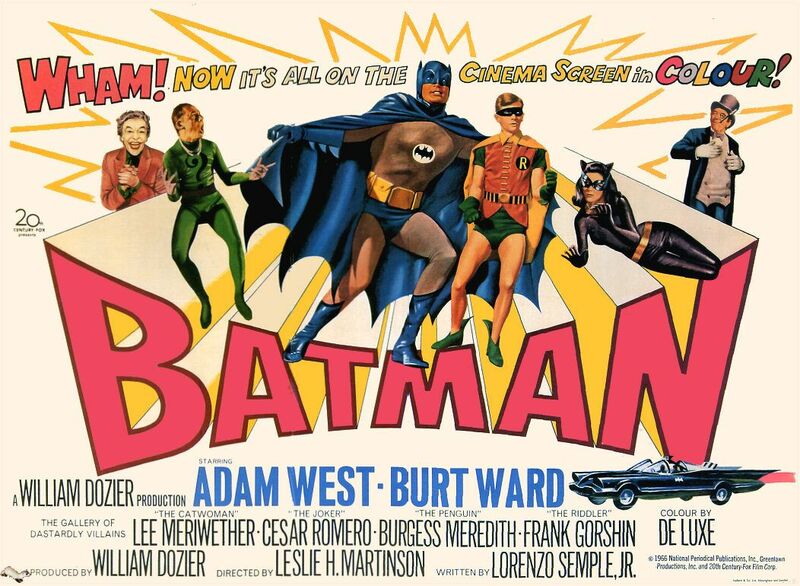 We start off with the dark and gritty spin-off from the 1960’s tv show starring Adam West and Burt Ward. Gotham City (Not at all California) has been hit with the villainous group of Penguin, Joker, Catwoman and Riddler as they plan to kidnap not the united nations. Can the caped crusader and the boy wonder save the day? Join Becca, Chris and Dave as we sit through the film and chat about things such as other brands of shark repellant, how Batman is government funded, slow-moving torpedoes, the Bat Computer doing all the detective work, how little plot there really is, how the villains plan to take over the world really won’t work and what is the correct way to get rid of a bomb. This entry was posted in Do You Expect Us To Talk? and tagged Adam West, Batman, Batman the movie, Burgess Meredith, Burt Ward, catwoman, Cesar Romero, cinematronix, Commentary, Do You Expect Us To Talk?, film, films, Frank Gorshin, james bond, Joker, Lee Meriwether, movie, movies, Penguin, podcast, Rebecca Andrews, review, The Riddler by Chris. Bookmark the permalink.